Reflecting recent changes in the way cognition and the brain are studied, this thoroughly updated third edition of the best-selling textbook provides a comprehensive and student-friendly guide to cognitive neuroscience. 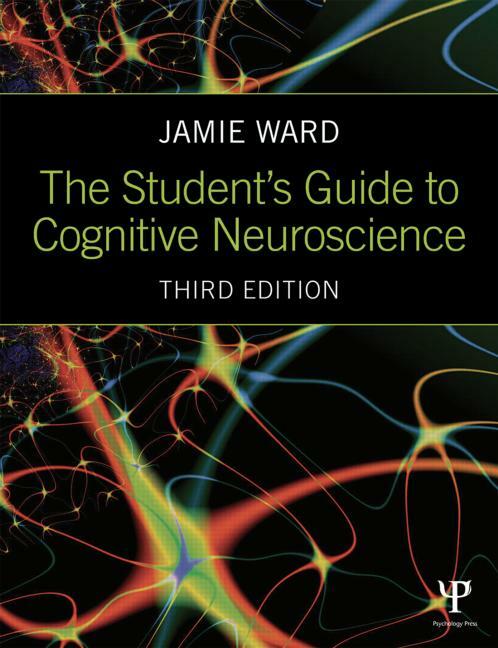 Jamie Ward provides an easy-to-follow introduction to neural structure and function, as well as all the key methods and procedures of cognitive neuroscience, with a view to helping students understand how they can be used to shed light on the neural basis of cognition. The book presents an up-to-date overview of the latest theories and findings in all the key topics in cognitive neuroscience, including vision, memory, speech and language, hearing, numeracy, executive function, social and emotional behaviour and developmental neuroscience, as well as a new chapter on attention. Throughout, case studies, newspaper reports and everyday examples are used to help students understand the more challenging ideas that underpin the subject. Feature boxes exploring interesting and popular questions and their implications for the subject. Written in an engaging style by a leading researcher in the field, and presented in full-color including numerous illustrative materials, this book will be invaluable as a core text for undergraduate modules in cognitive neuroscience. It can also be used as a key text on courses in cognition, cognitive neuropsychology, biopsychology or brain and behavior. Those embarking on research will find it an invaluable starting point and reference. The Student’s Guide to Cognitive Neuroscience, 3rd Edition is supported by a companion website, featuring helpful resources for both students and instructors. 1. Introducing Cognitive Neuroscience. 2. Introducing the Brain. 3. The Electrophysiological Brain. 4. The Imaged Brain. 5. The Lesioned Brain. 6. The Seeing Brain. 7. The Attending Brain. 8. The Acting Brain. 9. The Remembering Brain. 10. The Hearing Brain. 11. The Speaking Brain. 12. The Literate Brain. 13. The Numerate Brain. 14. The Executive Brain. 15. The Social and Emotional Brain. 16. The Developing Brain. Jamie Ward is Professor of Cognitive Neuroscience at the University of Sussex, UK. He is the author of a number of books on social and cognitive neuroscience and on synaesthesia, and is the Founding Editor of the journal Cognitive Neuroscience.